In this skin series I'm aiming to replace all vanilla CS2D sprites with non-outlined sprites with higher detail. 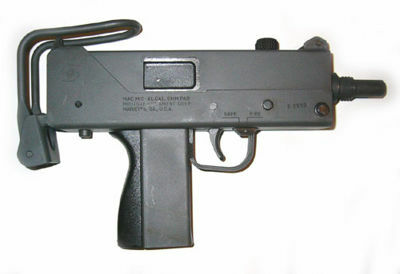 The Ingram M10 or Mac-10 is the first SMG in the series. The real life gun is very blocky and has little detail, and is very popular due to its low cost and weight, and high rate of fire. Yes you can, it's just about changing the direction of the light source. Anyway, nice file. A.k.a I can't base a gun off of an imaginary model that has extensive shading, while remaining realistic. I have the same opinion with WinterPwnd. There is absolutely no light&shadow effects. It may make the gun simple, but I still like it. Could you tell me what "details" I missed? That you should be able to see on a 30*28 gun sprite? I remember when people were getting insulted and their files getting spammed when a guy posts an item with low detail and no shading, you upload it and suddenly its fine. Unrealsoftware logic at its best. wut ._. I didn't get it, is that a joke? Next up will be the M3, and then I might continue with some SMG's (UMP45). @ Alistaire: If you have time, can you make replacements for all CS2D skins with the technique you used for this gun? I don't really feel comfortable with replacing them one at a time. lol reminded of the gun in GTA 4 and i think in the next update it should be changed. It's looking good, but still; it needs black lines, also drop image looks too big. Still, well done.